Diwali is nearing, I am sure everyone is busy with the preparations . 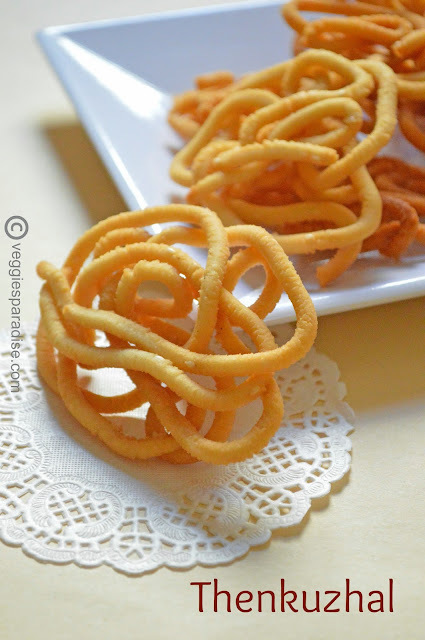 Today I am going to share the the most common and the traditional snack Murukku . 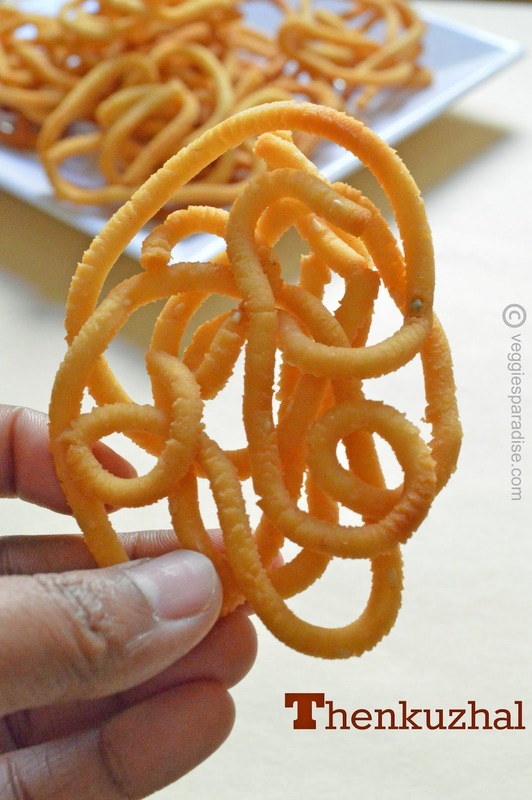 Without this tasty and crunchy Murukku , Diwali is incomplete. 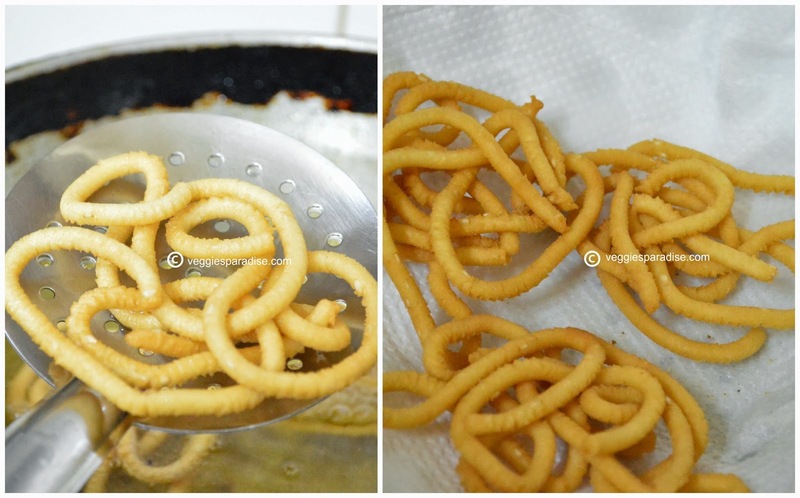 This is my all time favorite and I would say Diwali mood starts by preparing this delicious murukku. It is quite easy and takes less than an hour to prepare. It stays crispy and can be stored for a month. Without any further delay let us to go straight to the recipe. 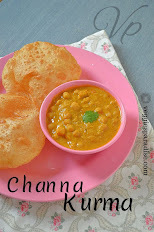 In a wide bowl mix the rice flour, urad dal flour, sesame seeds, butter until it is crumbly. 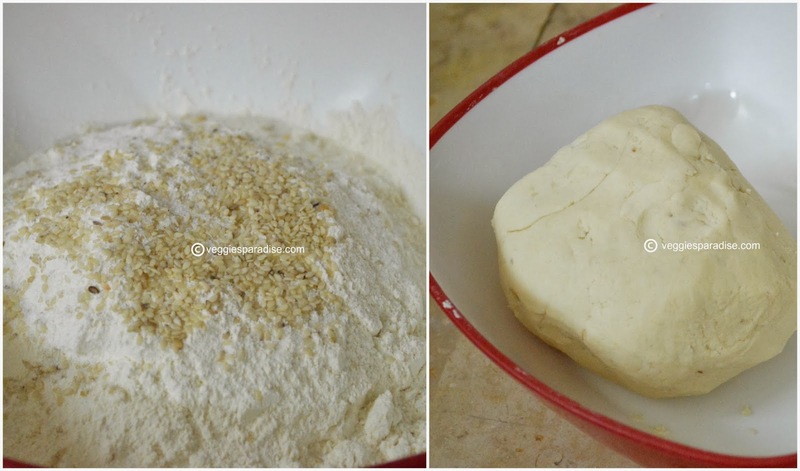 Now add water little by little and knead it to a soft , non sticky dough.Divide the dough into five or six lumps. 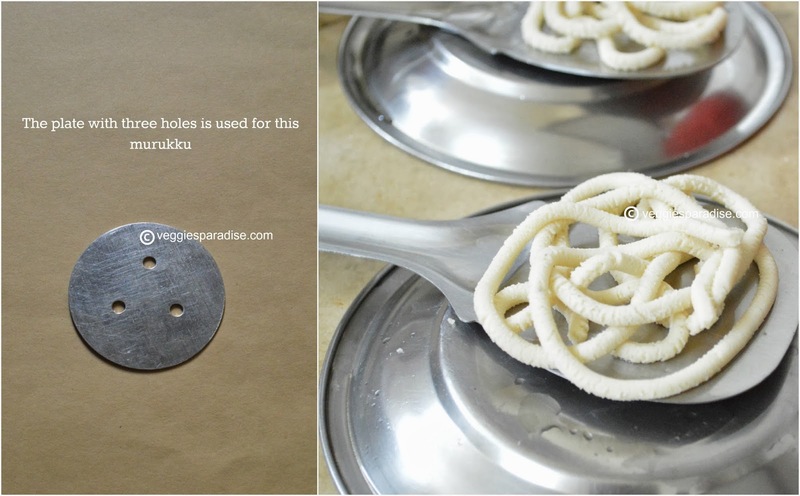 Take the murukku press and place a lump of dough into it. Squeeze the dough out in a circular fashion. I squeezed them at the back of a laddle. 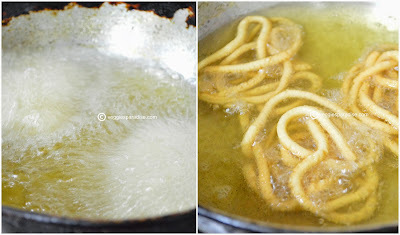 Heat oil in a kadai, drop the shaped murukku's and fry it until golden brown in medium flame .Flip it gently to make sure it gets cooked well on both sides. Remove and drain it in a paper towel. Allow it to cool and store it in a airtight container. For urad dal flour - Heat a pan and dry roast the dal until it turns, light golden in colour.Allow it to cool and grind into a fine powder. The murukku should be fried in medium flame, test the oil by dropping a tiny ball from the dough .It should sizzle and rise to the top. 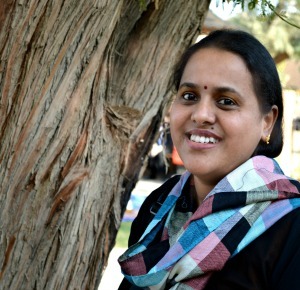 Depending upon the size of the pan, drop in the shapped murruku's. To avoid the dough getting dried, cover it with a wet cloth. loved the last pic- good one ! Looks so crispy and yummy !! Crunchy murukku n nice clicks! I always pottu kadalai maavu, should try with urad dal next time.